International institutions, political parties and big companies. Something all of these have in common is their interest in sharing good news when the world is paying attention and bad news when it isn’t. The logic is simple: the sharing of ‘wins’ should be planned to coincide with the most advantageous moment in the news cycle, when they will get the most coverage; ‘losses’, on the contrary, should be shared when global scrutiny is lowest – at the end of the week, weekends, or when bigger news items, like the Super Bowl or a presidential election, will dominate the headlines. This doesn’t always work out in pretty ways. As a young student, I will never forget the a story told by Roméo Dallaire, the Canadian general who bravely attempted but ultimately failed to ensure that the United Nations intervened to end the slaughter of the 1994 Rwandan genocide. Dallaire recounted the story of a humanitarian evacuation organised by the French government. The authorities in Paris requested Dallaire to choose appropriate candidates to be taken, by plane, out of Rwanda. It must have been disturbingly difficult to identify those who were most vulnerable and also those who were likely to be able to survive the long trip from Kigali to Paris. In the end, a few dozen mostly children were loaded onto the plane. The aircraft made a pit-stop somewhere on the African continent (I don’t recall where, exactly). But instead of simply landing, refueling and carrying on its journey, the plane stayed there for hours. During that time, a number of children died. To a stunned crowd, Dallaire explained that the decision to keep the plane grounded was made by French government officials who did not want the plane to arrive at Charles de Gaulle airport in the middle of the night. Instead, they wanted their humanitarian act to be witnessed by journalists and cameramen who, they surmised, would only come to the airport once the sun was up. Of course, few, if any, public relations decisions are quite as distasteful, nefarious or inhumane. Dallaire’s story is an extreme example of a sick – and sickeningly costly – attempt by a government to take advantage of the media cycle in order to reap political rewards. But seeking to manipulate the news cycle to their benefit is, for better or worse, what all organizations with institutional interests do. The International Criminal Court (ICC) is no different. Take, for example, the day that prosecutors at the ICC withdrew their case against Kenyan President Uhuru Kenyatta. Even the Court’s proponents admitted that it represented an awful day in the life of the Court, one which threw the institution into “crisis” and exposed its severe limitations in the fight against impunity. Since at least 2011, prosecutors had insisted that Kenyatta was among those most responsible for the 2007-2008 post-election violence in Kenya. Soon thereafter, a string of controversial yet remarkable developments besieged the trial: the prosecution’s poor construction of the case against Kenyatta; his election in March 2013 as president of Kenya; the intimidation and murder of dozens of witnesses who testified against him. 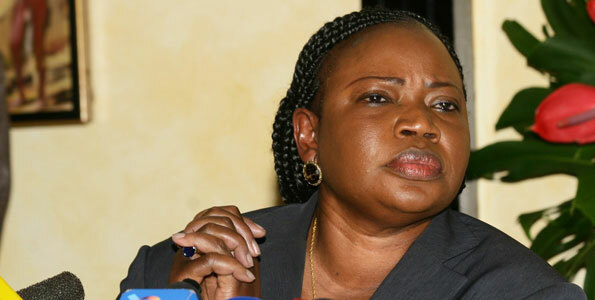 In the end, ICC Chief Prosecutor Fatou Bensouda “decided to withdraw the charges against Mr. Kenyatta after carefully considering all the evidence available”, calling her move “a dark day for international criminal justice”. Her words – and decision – came on a ‘bad news Friday’, when the news cycle was just about retiring for the week. Now, if institutional ‘losses’ and ‘bad days’ should be dumped onto the media at the end of the work week, surely it holds that ‘wins’ should be shared when the news-cycle is full swing. But a recent ‘win’ by the ICC seems to be at odds with this trend. Less than two weeks ago, the ICC announced that Ahmad Al Mahdi Al Faqi had been transferred into the Court’s custody from Niger. Al Faqi is alleged to have played a lead role in the destruction of UNESCO-protected religious shrines in Timbuktu. He also represented a number of important firsts for the ICC: the first suspect from Mali to be surrendered to The Hague; the first member of a radical Islamic group, Ansar Dine, to face prosecution at the ICC; the first person charged with the war crime of destroying cultural monuments to end up at the Court. Just as it is hard to argue that the collapse of the Kenyatta case wasn’t a loss for the ICC, it is nearly impossible to deny that the surrender of Al Faqi wasn’t a ‘win’. So then why was Al Faqi’s transfer to the Court announced in the very early hours of a 26 September (a Saturday when the media is sleeping in) and when the world’s attention was focused squarely on events at the United Nations General Assembly? Put another way, to quote New York Times journalist Somini Sengupta: the ICC “makes important news on Mali, but in the middle of night during busy UN week. Huh? ?” Was there something the Office of the Prosecutor wanted to hide? Was the fact that Al Faqi’s surrender to the ICC coincided with Eid relevant? Did prosecutors prefer that news of his transfer not be reported? For the moment, only those within the halls of the Office of the Prosecutor have the answers to these questions. On top of the curious timing of its news release, the announcement was also sparse on details regarding how Al Faqi ended up in The Hague. But there are only three feasible explanations: one, which we can almost surely rule out, is that prosecutors just didn’t think about when to time Al Faqi’s surrender and its announcement; two, that for reasons which remain unclear, ICC officials didn’t want the news of Al Faqi’s surrender to reverberate through the media; three, the circumstances around his detention and his surrender were so precarious and chaotic that it led ICC staff to believe that they had no other choice but to proceed with his expeditious surrender. In other words, they lost the ability to control the timing of Al Faqi’s arrival at the ICC and, in the process, lost control of the message too. The last scenario seems most viable. As I’ve written elsewhere, we know that while Al Faqi was in the detention of French and Nigerien officials since September 2014, there were concerns that Al Faqi was going to be released imminently, perhaps even by force, from custody in Niger. Still, much remains to be revealed about how Al Faqi found himself loaded onto a plane headed for Scheveningen prison in The Hague. The ICC and its organs want to grab global headlines with good news stories about international justice. At least to some degree, the institution’s relevance relies on its ability to do so. The Court thus needs a smart communications strategy to ensure its wins are covered by the international media. At the same time, however, the Court has also committed to being transparent in its decision-making. Recent developments at the ICC suggest that the two aims are sometimes in tension. A version of this article was originally published as part of my ongoing Courtside Justice column at Justice Hub. This entry was posted in Ahmad Al Mahdi Al Faqi (Abou Tourab), International Criminal Court (ICC), International Criminal Justice, Justice, Kenya, Kenya and the ICC, Mali and tagged Roméo Dallaire, Uhuru Kenyatta. Bookmark the permalink. Hard to always know the reporting agenda, but we must always be aware, there is one.